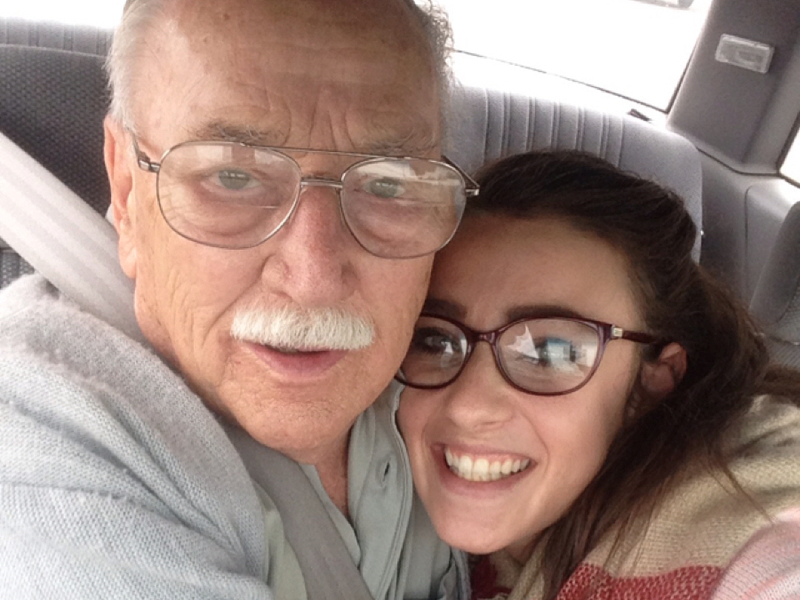 A Backseat Biography: Life And Love, As Told From An Applebee's Parking Lot In this week's edition of StoryCorps, Kara Masteller spoke with her grandfather, James Kennicott, in a car in Waterloo, Iowa. His advice to her? "Let's give 'em hell, kiddo." Kara Masteller sits with her grandfather, James Kennicott, in a car in the parking lot of an Applebee's in Waterloo, Iowa. 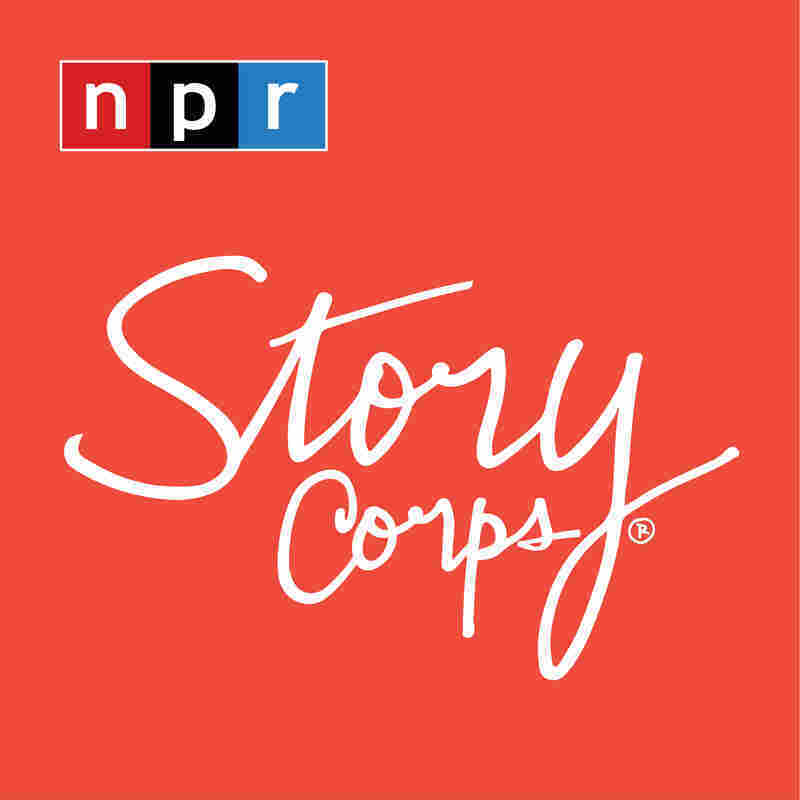 Each morning for the past decade, StoryCorps has been presenting interviews recorded in booths. But this year, StoryCorps created a smartphone app that gives anyone — even if they can't get to a booth — the ability to interview someone and save that recorded interview at the Library of Congress. These interviews can be recorded anywhere, even in the parking lot of an Applebee's. That's where Kara Masteller sat with her grandfather, James Kennicott, and talked about life and love in Waterloo, Iowa — in Masteller's 1994 Buick. "How did you know Grandma was the one?" Masteller asks her grandfather. "Well, she was a good looker," he laughs. "We fit together. We were a good pair." Masteller says her grandmother's looks belied a salty personality — an innocent countenance that left people shocked when she'd break out a string of curse words. Masteller says that earned her a reputation as a "spicy meatball." It would be understandable, then, if Kennicott was nervous to propose to her. He says he wasn't, though. "If we had something to say we said it. Like you," Kennicott tells his granddaughter. And Kennicott says the key to a happy marriage was, for him and his wife, just as simple. "Well, if something happens, just say, 'I'm sorry,' and get it over with. There's no reason to carry on. I'd just say, 'I'm sorry, I love you' — and that was the whole story." Last April, Kennicott was diagnosed with Alzheimer's. Masteller asks him how he has adjusted to life with the disease. "Not much you can do. I even can't remember some names now myself," Kennicott answers, laughing. "So maybe I have got it. I don't know." Ultimately, Kennicott's advice for those facing aging is simple. "Don't fight it," he says. "Just roll with — I mean, life. Live it. It's wonderful." "Let's give 'em hell, kiddo." For the full conversation, listen at the audio link above. Audio produced for Morning Edition by Michael Garofalo. Special thanks to Iowa Public Radio.